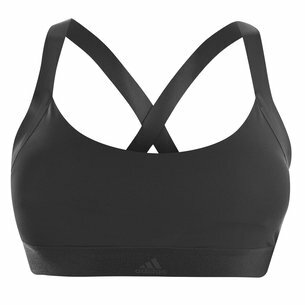 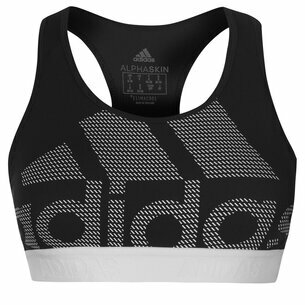 Stay cool in this easy on-off adidas Halter 2.0 Logo Ladies Sports Bra in Black. 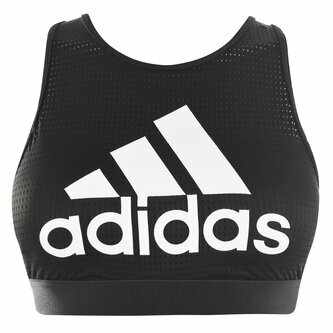 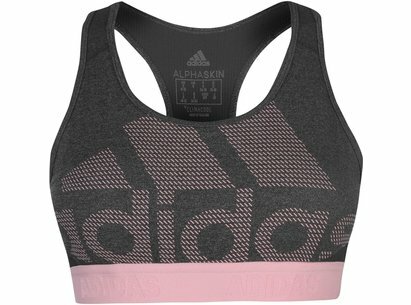 This pullover sports bra from adidas will keep you cool. 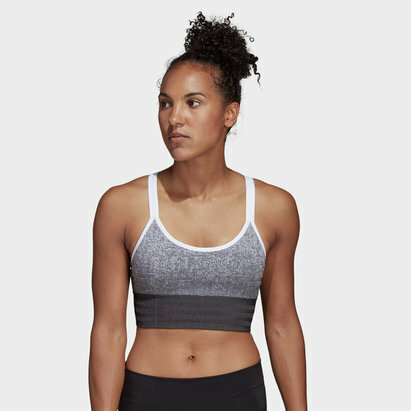 It is made for heat-building workouts such as circuit training as this sports bra keeps the moving to help you stay cool. 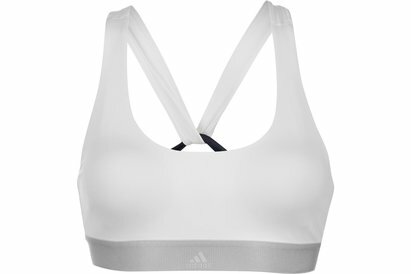 The pullover style has a high neck for full coverage and a strappy back design for freedom of movement. 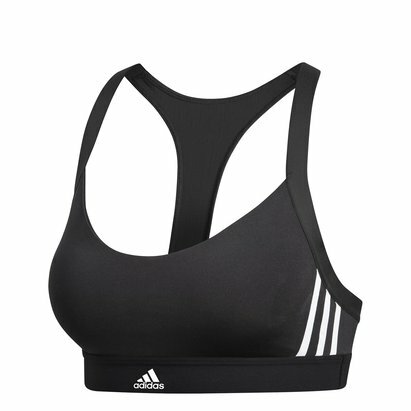 The internal power mesh creates a compressive fit that offers medium support.